From the beginning, Star Wars has drawn heavily on the Hero’s Journey framework of storytelling, particularly the monomyth articulated by Joseph Campbell. More contemporary iterations of the framework, such as the cinematic version put forth by Christopher Vogler, frequently use Luke Skywalker in A New Hope as a classic example. It was little surprise, then, that the new era of cinematic Star Wars kicked off in The Force Awakens with a clear Hero’s Journey path for its central protagonist, Rey. Last year, we analyzed Rey’s progression through the perspectives of both Campbell and Vogler, including an article at FANgirl and an episode of Hyperspace Theories as well as Tricia’s two articles on Rey in Star Wars Insider magazine issues #167 and #168. For all of its familiar elements and story beats, though, The Force Awakens also broke new ground in Star Wars in many ways. Early on in its development, while the core natures of the characters were still in flux, longtime Star Wars participant Lawrence Kasdan made a radical suggestion: that one character should be a stormtrooper who defects to the good side. As the story’s creation progressed, and Kasdan joined J.J. Abrams as co-screenwriters on the film’s script, this character grew into a major player in the movie. By comparison to A New Hope, he is a combination of the droids, who are the audience’s eyes into the story when the main hero is not present, and Han and Leia, who are the crucial figures motivating and propelling Luke’s quest. Given this importance, Finn could not simply be a sidekick or key ally in the story; he needed a story arc of his own. For the first time, The Force Awakens offered a Star Wars film in which two characters, not only one, are undertaking the Hero’s Journey. 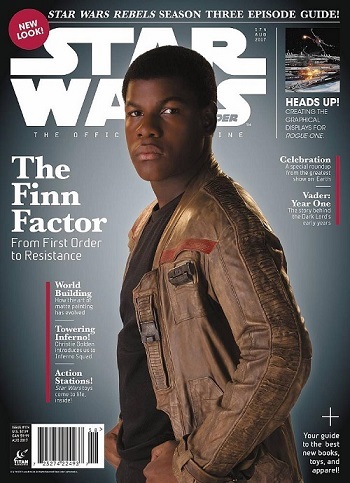 In Star Wars Insider #174, Tricia and I evaluate Finn’s path from stormtrooper to hero. We hope you’ll pick up the issue and give it a read. In the article we focus on key stages in Finn’s progression through the Hero’s Journey. A sidebar also discusses some of the major archetypes identified by Vogler and how they apply to Finn’s story. Magazine articles necessarily have limited space, so in this post we expand upon those ideas. Vogler’s version of the Hero’s Journey fits Finn’s path quite well. Much of Campbell’s model applies to Finn, as well, though with a hitch – his defeat by Kylo Ren in the forests of Starkiller Base. The comparison of the archetypes in Finn’s journey alongside Rey’s also illustrates the interesting ways in which the same character can play different functions in a story depending not only on the progress of the plot, but also from whose perspective the audience views the tale. The early stages of Campbell and Vogler are quite similar, and Finn’s journey marks those beats as clearly as Rey’s does. Like A New Hope, the action does not begin in the main protagonist’s Ordinary World. In Episode IV we meet bored moisture farmer Luke after a fast-paced opening sequence introducing us to Princess Leia and Darth Vader and the clash between the Rebellion and the Empire. Similarly, Rey’s wistful and repetitive life as a junk scavenger is revealed after we begin the film with Finn, Poe Dameron, Kylo Ren, and the new conflict between the Resistance and the First Order. Finn’s Ordinary World is the life of a First Order stormtrooper. Without even a name, only the designation FN-2187, he has been trained since childhood to do one thing. Fans who’ve read Greg Rucka’s book Before the Awakening, released in 2015 as part of the “Journey to The Force Awakens” publishing line, have an even deeper appreciation of what his life was like before the fateful arrival on Jakku. From that Ordinary World, Finn’s adventure is the story of his defection from the First Order and rebirth into a hero of the Resistance. Every stage of the Hero’s Journey for Finn is viewed in that light, bringing him closer to the hero he will end up becoming. Like anyone on the Hero’s Journey he has successes and failures, threats and pitfalls, friends and foes along the way. And of course, for much of the movie Finn himself does not understand the quest he is on. Events are pulling him along, and it is his actions and choices that drive him toward his destiny – with the occasional nudge from other characters, too. It only takes moments after his arrival on Jakku aboard the First Order lander for FN-2187’s path to change. His Call to Adventure comes in the form of Kylo Ren’s order to massacre innocent villagers, which his conscience refuses. Back aboard the Star Destroyer, Captain Phasma commands him to put his helmet back on and report for inspection of his blaster. In that moment, his Ordinary World is gone forever – and the audience switches perspective to meet Rey before her life is changed forever, too. 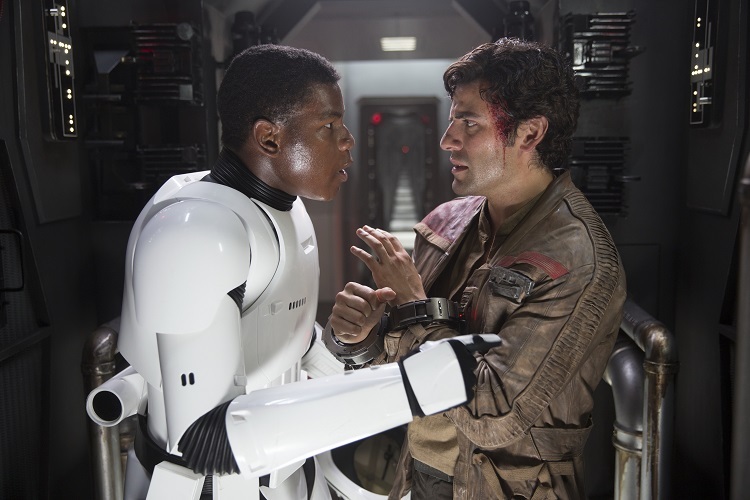 Desperate to escape the evil around him, FN-2187 frees Poe Dameron and pleads for help in getting away. Recognizing the opportunity, Poe instantly becomes his new Mentor in resistance: assuring him they can do this; remaining calm as they stride across the hangar; instructing him how to fire the blaster cannons on their stolen TIE fighter; instilling the importance of retrieving the map to Luke Skywalker. And, most importantly, rejecting the nameless designation imposed by the First Order and bestowing on the young man his new moniker, Finn. As the TIE flies out of the hangar bay, Finn is Crossing the First Threshold toward joining the other side, reinforced by his act of blasting away at troopers and TIEs that were his erstwhile compatriots only minutes earlier. Poe is not only a mentor, but Campbell’s Supernatural Aid: an ace pilot who can fly anything. When Poe insists on heading for Jakku to retrieve BB-8, though, Finn faces his Refusal of the Call: he is not doing this to help the Resistance, but merely to flee the First Order as quickly and safely as possible. Neither man wins the argument; their TIE is shot down and Finn wakes up alone in the blistering desert. Before the TIE’s wreckages disappears in the Sinking Fields, Finn is able to retrieve a talisman, the jacket belonging to his vanished mentor. 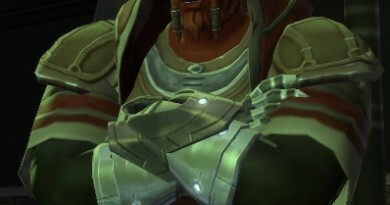 Finn’s metamorphosis into heroism manifests visually in his Belly of the Whale as he staggers through the sand, tossing off pieces of his stormtrooper armor one by one before finally donning the jacket instead. The second act of Vogler’s framework begins with Tests, Enemies, and Allies. For Finn’s journey, this covers events from Niima Outpost through the Resistance base. He befriends Rey and BB-8 for the escape from Jakku, allies with Han and Chewie for the fight with the gangs, and undergoes inspection by Maz Kanata at her castle. Each time, his destiny with the Resistance is placed before him, and like other heroes he fails some of these tests. Initially he lies to Rey that he is a Resistance fighter, then admits the truth to BB-8 aboard the Falcon. He claims to be a “big deal in the Resistance,” not realizing that Han would have little trouble seeing right through that lie. Maz speaks of the importance of the fight against the dark side, then recognizes the desire to run away in Finn’s eyes. He proves her right, for the moment, offering an apology to Rey before heading to the exit with a pair of pirates to revert back to his original plan to get as far away from the First Order as possible. The destruction of the Hosnian System by Starkiller Base and the arrival of the First Order at Takodana, however, change Finn’s perspective. At the urging of Maz, he takes up Luke Skywalker’s lightsaber and fights the invaders. Declared a “traitor!” by FN-2199, he fights the trooper in single combat, with a helpful bowcaster blast from Han to save him from a perilous blow. Unable to stop Kylo Ren from abducting Rey, Finn boards the Falcon and travels to the secret Resistance base. Although he readily offers up the information he knows about Starkiller Base, he is not doing it because he already is fully committed to the Resistance cause. Instead, he still retains some of his earlier pattern: deceiving his new allies about his true selfish motivation, in this case his desire to ensure he is sent on the mission so that he can rescue Rey. Interestingly, Finn experiences something previously unseen in Star Wars films: the return of his mentor. Luke and Rey watch their mentors die; Finn sees Poe’s glorious flying at Takodana, then reunites in person at D’Qar. 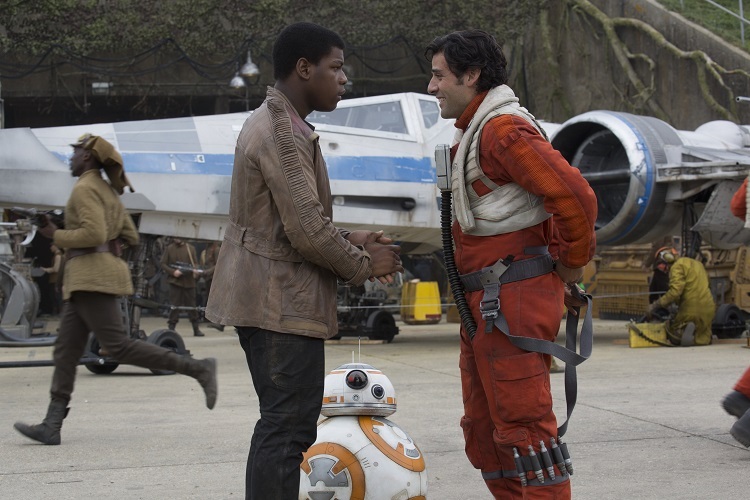 Poe completes the transfer of the talisman, reassuring Finn that he can keep the jacket, then hustles Finn straight to the leader of the Resistance, General Organa. The remaining components of Vogler’s second act take place at the First Order base. 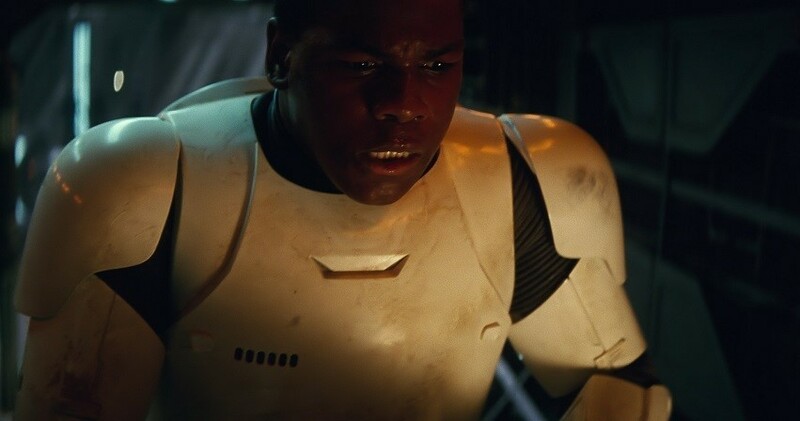 Finn marks Approaching the Inmost Cave in his return to Starkiller Base, the enemy fortress and site of some of his previous service to the First Order. His Ordeal is the tension of the search for Rey, and his Reward comes in their reunion. The second act of Campbell’s model is the hero’s transformation. For Finn, the Road of Trials begins at his arrival in Niima Outpost and continues through his participation the briefing at the Resistance base on D’Qar. He experiences a Meeting With the Goddess at Maz Kanata’s castle, when Rey offers him unconditional friendship in their apparently mutual quest to return BB-8 to the Resistance, but Finn’s fear drives him to admit the truth about himself to her – marked in the soundtrack with the track titled “Finn’s Confession”– in the course of declining her offer in pursuit of his goal to flee into the Outer Rim. At D’Qar we also see Finn face the Woman as Temptress, as he exaggerates his knowledge of Starkiller Base’s shields in order to serve his true motivation, rescuing Rey. By the time he admits the deception, he and Han and Chewie already are deep behind enemy lines on the frozen world. The mission to Starkiller Base concludes Finn’s second act of Campbell’s model. His Atonement With the Father comes in his confrontation with Captain Phasma, the domineering authority figure of the opening mission to Jakku, when he forces her at gunpoint to lower the shields to enable the Resistance’s assault on the base. 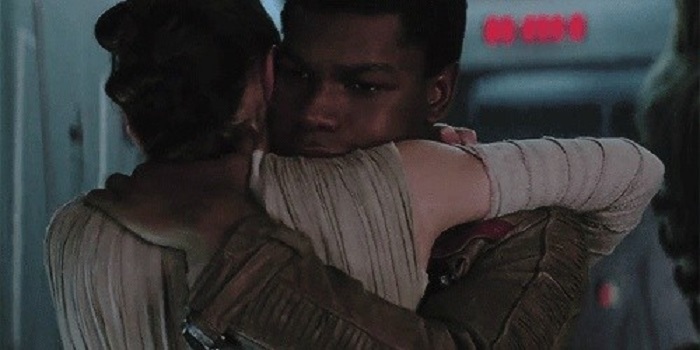 Finn achieves Apotheosis when he accomplishes his personal goal, embracing Rey upon their reunion. But his transformation into a hero of the Resistance requires the Ultimate Boon. Together with Rey, he aids Han and Chewie in infiltrating the oscillator facility so that Poe and the Resistance pilots can destroy it. Then in the forest, Finn wields the lightsaber for a second time to defend unconscious Rey from the murderous Kylo Ren. It is here where Campbell’s framework would transition the hero to the third act, reintegrating the Extraordinary World of heroism with the Ordinary World where the story began. For Finn in The Force Awakens, this stage is never reached: he remains incapacitated, still recovering from his grave wounds when Rey departs D’Qar for Ahch-To at the movie’s end. Early information revealed at Celebration Orlando about the film suggests that Finn may undergo this stage in The Last Jedi, integrating himself fully as a soldier of the Resistance. Vogler’s cinematic model, on the other, lines up rather nicely with the culmination of Finn’s storyline in The Force Awakens. 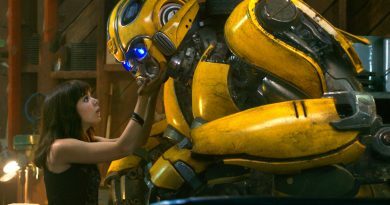 Vogler’s third act is not reintegration but rather the roller-coaster push toward the movie’s final showdown. The Road Back is the heroes getting sidetracked from their plan to flee Starkiller Base once the shields are down, when they decide that they first must complete a new mission to destroy the oscillator facility. Finn and Rey play their part by unlocking the doors so that Han and Chewie can infiltrate and plant their bagful of thermal detonators. Unfortunately, the young duo returns too late to prevent Kylo Ren from slaying his father. The detonator explosions successfully accomplish their plan, and the Poe’s ace flying finishes off the oscillator. Even the planet imploding around them is not enough danger for the heroes to face, however, and they find their path back to the Falcon blocked by Kylo Ren. The next step, Climax, is also called Resurrection – and it comes when Finn is metaphorically reborn as a Resistance fighter by Kylo Ren’s taunt of “traitor!” and facing him in single combat. Kylo Ren also warns him that, unlike Takodana, “Han Solo can’t save you” in this duel. Without the power of the Force to aid him, Finn is quickly overmatched and defeated, though his cries of pain reawaken Rey to fulfill her own destiny in this fight. 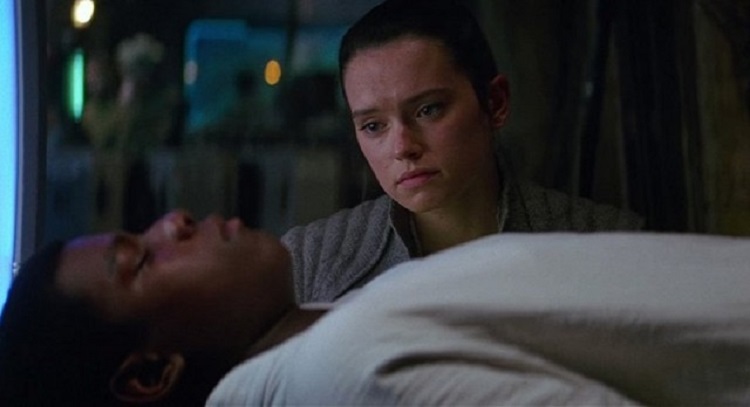 Though Finn is unconscious for his Denouement, the audience sees him in Resistance garb at the D’Qar base, treated as one of their own as Rey bids him farewell before departing to find Luke Skywalker. In addition to the common stages through which the central protagonist progresses, the Hero’s Journey often features other characters who fit into familiar archetypes in the roles they play in the protagonist’s quest. Vogler’s book The Writer’s Journey highlights eight archetypes that recur frequently in contemporary tales. Each of these archetypes appears in the Hero’s Journeys of Rey and Finn – but not always in the same way or with the same character in the respective storylines. This makes The Force Awakens an interesting study in the use of archetypes. The Hero, of course, is the central protagonist of the journey. In Rey’s adventure, she is the Hero; in Finn’s adventure, he bears that mantle and Rey fills a different archetype. The Herald signals the beginning of the adventure, often marking the Call to Adventure by appearing. Here, both Rey and Finn have BB-8 as a Herald. The droid’s cries for help cause Rey to leave her AT-AT dwelling and aid another, by which she gains at first a new companion and then later a mission to deliver the droid and his concealed map to Luke Skywalker back to the Resistance. 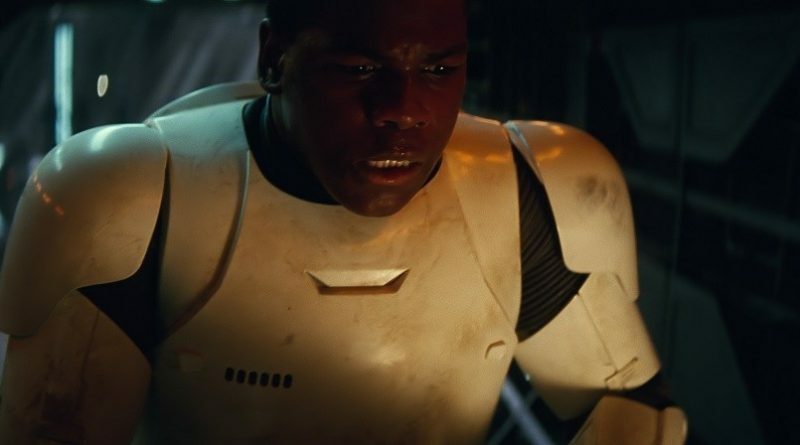 Similarly, Finn is drawn into the same mission when BB-8 recognizes Poe’s jacket on him in the Niima Outpost market, leading to Finn joining them for the escape from Jakku and subsequent encounter with Han Solo. The Threshold Guardian is a character who tries to keep the Hero in the Ordinary World, literally or metaphorically barring the threshold to adventure. For Rey this is Unkar Plutt, whose sparse doling out of portions keeps her trapped in her meager life as a Jakku scavenger. For Finn, his path to heroism is blocked by Captain Phasma, who commands him to report for inspection after his crisis of conscience in the village. Both characters overcome their Threshold Guardians: Rey by refusing the trade for BB-8, then stealing the Millennium Falcon to escape the First Order’s attack, and Finn by freeing Poe Dameron from custody and escaping the Finalizer in a stolen TIE fighter. The Mentor plays an important role in guiding the Hero on the journey. Rey has two mentors in her Hero’s Journey from scavenger to Jedi novice. Han Solo affirms that the Force and the legends are real, approves of Rey’s skills as a mechanic and pilot enough to offer her a job on his crew, and ultimately gives her the talismans of her adventure: a pistol for protection and later the Falcon. Maz Kanata counsels Rey on the need to let go of her past and embrace her future, as well as providing insight on the Force that allows Rey to find her inner strength to defeat Kylo Ren. In Finn’s journey from stormtrooper to Resistance fighter his mentor is Poe Dameron, who shapes the course of Finn’s adventure and gifts him the iconic jacket. The Shapeshifter is a character whose nature is confounding to the Hero, often because the Hero is unsure who the Shapeshifter really is or whether they can be trusted. 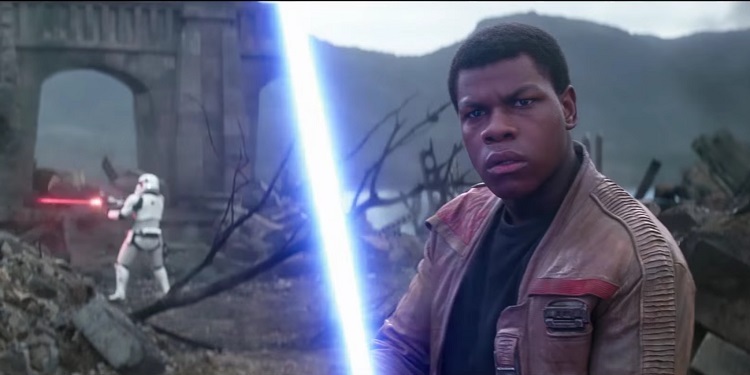 In Rey’s path as a Hero in The Force Awakens, Finn is a Shapeshifter. First she believes he is a Resistance fighter, then learns he is not who she thought he was – in identity or in courage. Ultimately, though, she finds their friendship validated upon learning it was his idea to undertake great risk to come to rescue her at Starkiller Base. In Finn’s progression through the Hero’s Journey, though, the Shapeshifter is someone else: Han Solo. Over the course of their interactions Finn sees Solo change from scowling intruder to hero of the Rebellion who believes in the Force, from washed up smuggler in trouble with multiple violent gangs to prominent figure in the Resistance entrusted with the crucial mission to take down Starkiller Base’s shields, from curmudgeonly mission leader to heartbroken father. The Trickster is another archetype who often is not what they seem to the Hero. This is Rey’s role to Finn’s Hero, because she always has another trick up her sleeve as her adventure parallels his. First she appears to be a marketplace damsel in distress, before proving eminently capable of defending herself. This meager junk scavenger turns out to be the second pilot Finn escapes with, much to his surprise. 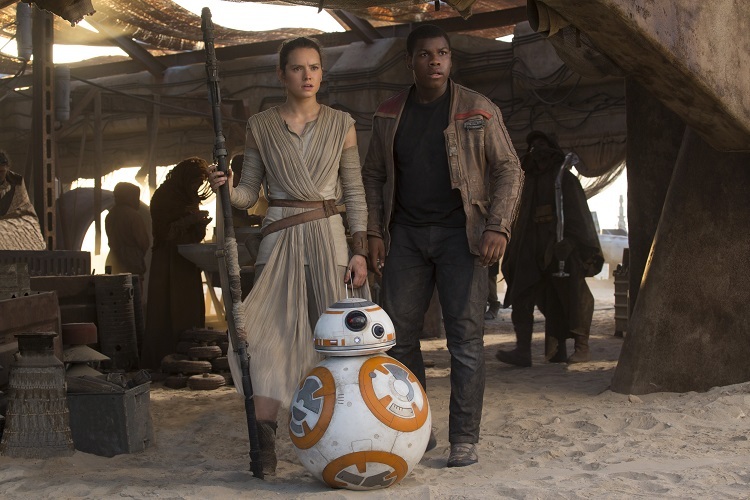 Despite her stated desire to return to Jakku, she commits herself to the mission to return BB-8 to the Resistance. Though he risks his life to rescue her at Starkiller Base, he realizes Rey already has freed herself, and in a manner she says he wouldn’t believe if she told him. 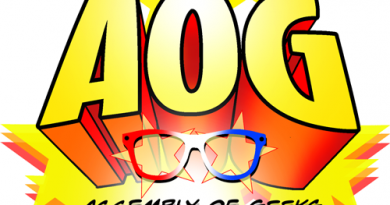 The Ally is any other character who aid the Hero on the adventure. For both Rey and Finn, BB-8 starts as the Herald and then becomes their Ally as events proceed. Chewbacca is a secondary character in The Force Awakens, but his involvement is necessary to help both Heroes achieve their goals – including with Finn, a reciprocal rendering of medical assistance. And while Rey and Finn initially appear as different archetypes to each other, by the end of the film they are mutual Allies in their respective journeys. Finally, the last archetype is oppositional: the Shadow who threatens to undermine the Hero’s accomplishment of the journey. Though not always an evil villain in the classic sense, in The Force Awakens the Shadow for both Rey and Finn is the same: Kylo Ren. While Rey does not encounter him until Takodana, he is interested in her from the moment he hears about a girl helping the droid escape Jakku. Their first confrontation ends with Rey unconscious and abducted, followed by her captivity on Starkiller Base. Yet sometimes the Hero and the Shadow may be as much foils for one another as antagonists, as when Kylo Ren’s invasion of her mind inadvertently expands the scope of Rey’s understanding of her own power, and his reference to teaching her the ways of the Force sparks a recollection of the wisdom from Maz Kanata. Their second confrontation ends differently, with the Hero overpowering the Shadow. For Finn, he first earns the ire of Kylo Ren in the Jakku village by refusing the massacre order, then escaping the Star Destroyer with Poe Dameron. The Shadow turns the tables on Takodano, though, with Kylo Ren absconding with Rey before Finn can intervene. At Starkiller Base they finally face off in combat, the Hero wielding the weapon the Shadow covets. This is key. I didn’t always appreciate the execution of the writing of Finn in TFA but I never understood those who didn’t grasp that Finn was just as much on a hero’s journey.